Combine the chicken and remaining ingredients except for the lemon juice in a bowl. Season to taste and toss gently until the chicken and haloumi are well coated in the herb mix. 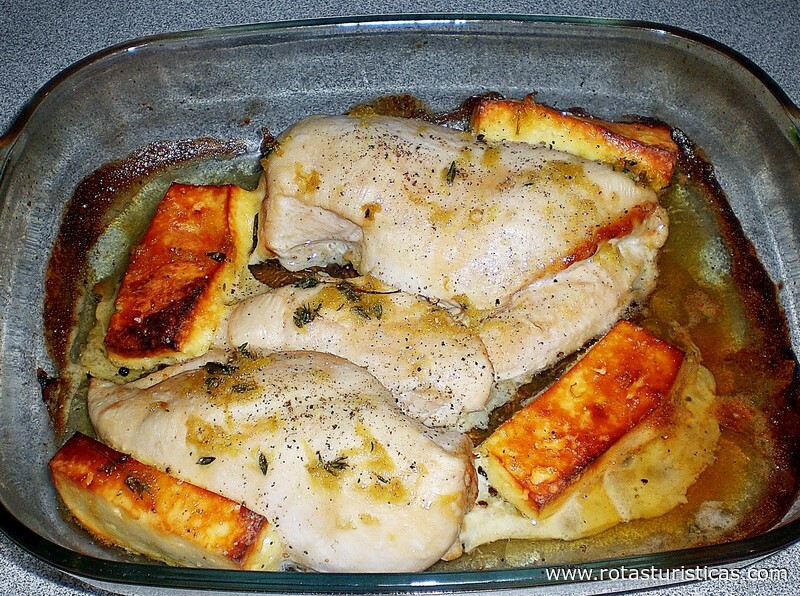 Arrange the chicken in a baking dish and fill the gaps with haloumi. Drizzle with extra olive oil then pour the lemon juice over the top. Transfer the tray to the oven and roast for 50-55 minutes until the chicken and haloumi are golden and the chicken is cooked through.